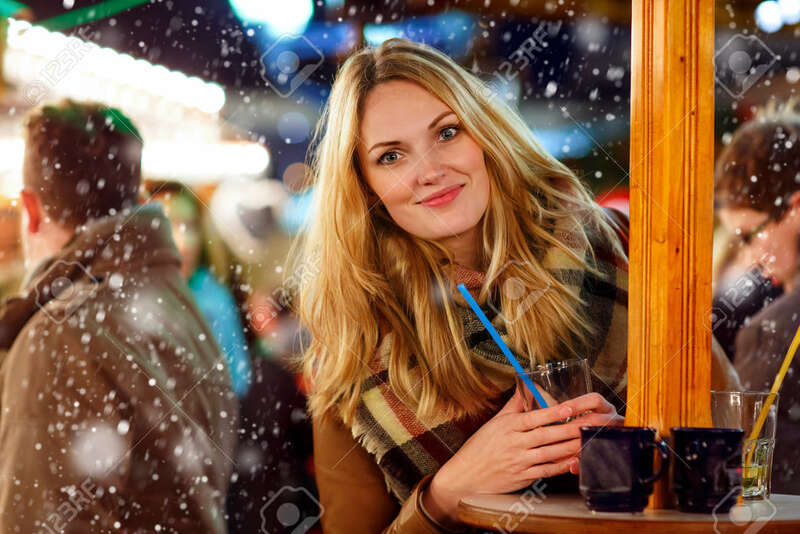 Beautiful Young Woman Drinking Hot Punch, Mulled Wine On German Christmas Market. Happy Girl In Winter Clothes With Lights On Background. Family, Tradition, Holiday Concept Royalty Free Fotografie A Reklamní Fotografie. Image 60401558.